Here is the third and final part of my rebuttal to the official “Who Wore it Best” done by the Canucks official website. 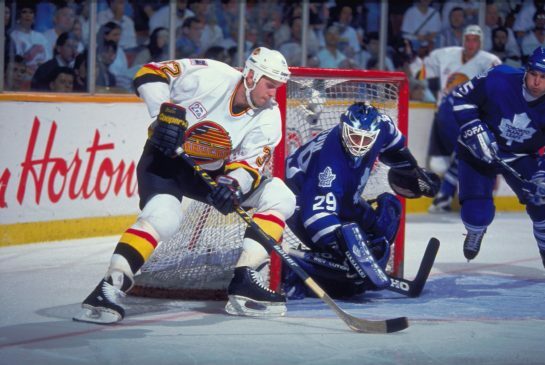 I decided that a rebuttal was needed because the topic of Canucks history and jersey numbers are near and dear to my heart and I wasn’t about to let them snub Doug Lidster, as they did on August 3. Since then, Donald Brashear was chosen, causing a mini-revolt on Twitter. Ok, I might have been a little bit cavalier with my use of the word “revolt”. We have already revealed who really wore it best for the 31 days of August as Canucks.com will do this month (view #1-15 here and #16-31 here). Now it’s time for some bonus coverage! In the interest of not boring you to death, I won’t feature every number from 32-99. Instead lets just take a look at the prominent/interesting ones. Murray Craven had a short stay in Vancouver (just 88 games in 1992-93 and 1993-94), but his impact was significant, scoring 65 regular season points with the Canucks. But it was his play in the playoffs that most fans will remember. He had 10 points in 12 games during the 1993 playoffs and 13 points in 22 games during the team’s run to the Stanley Cup Final in 1994. Arguably the best player in franchise history, this decision didn’t keep me up at night. Henrik is 1st all-time in franchise points and assists during the regular season and trails only Trevor Linden for points in the playoffs. Barring injury or a trade, he and/or his brother will likely hold every significant offensive franchise record. ‘King Richard’ Brodeur thrilled fans in 1982 when he carried an underdog Canucks team to the Stanley Cup Final. He is 3rd in both wins and games played among Canucks goaltenders. There aren’t many players to choose from as we get into the higher numbers, as Jannik Hansen is the clear choice at #36. Hansen has been a real important role player for Vancouver in the last few years. He was 5th among Canucks forwards in scoring during the 2011 Stanley Cup run (trailing only the Sedins, Kesler and Burrows). Part of the reason I’m writing this article is because a good friend of mine demanded to see his all-time favourite player featured at #37. Ruutu was the ultimate super pest, scoring 10 goals and 142 penalty minutes during his best season in Vancouver in 2005-06. So here you go Al, Jarkko Ruutu. Much maligned during his final season in Vancouver, the late Pavol Demitra put up better numbers than you probably remember. The skilled Slovakian had 69 points in 97 regular season games. 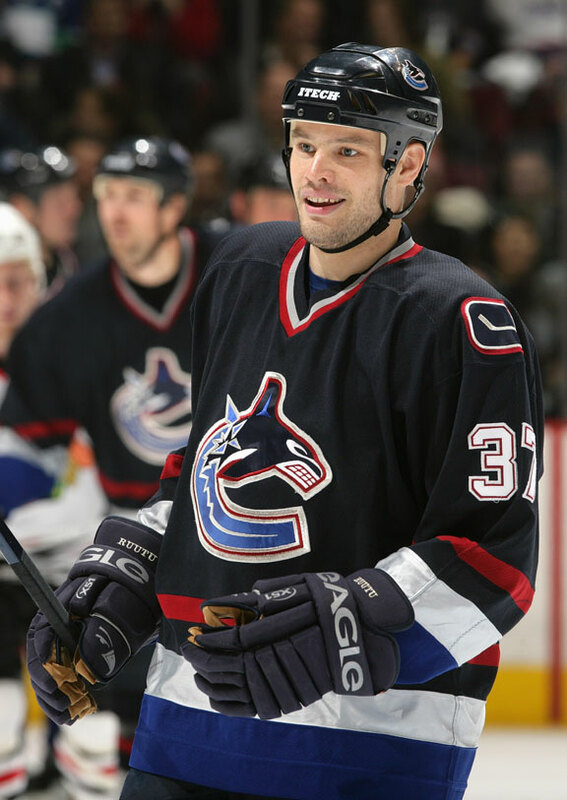 He is often remembered for that goal, but Cloutier had some good years in Vancouver. 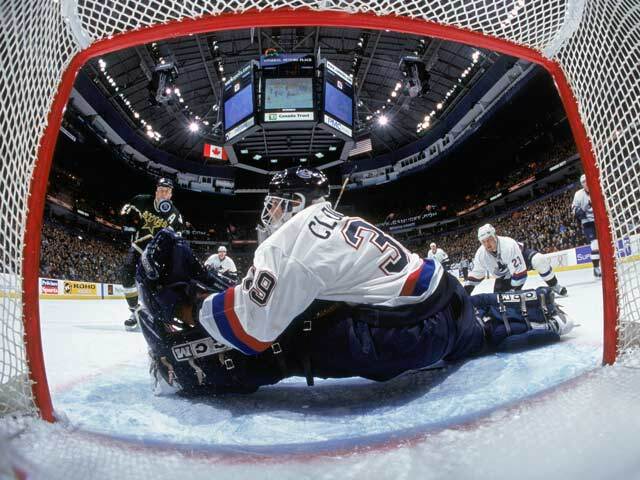 Cloutier had three straight 30 win seasons while backstopping some good run-and-gun Canucks teams in the early 2000s. 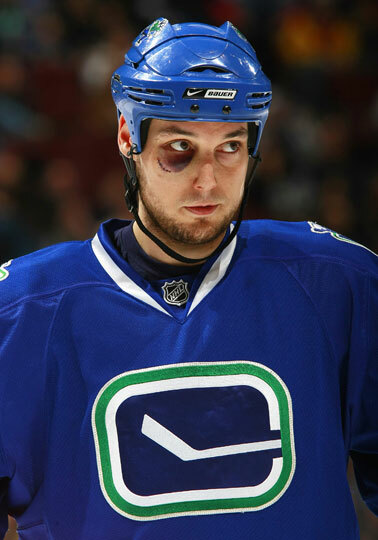 Mention the name Kyle Wellwood to a Canucks fan and you’re sure to bring a smile to his/her face. His conditioning, effort and intensity were questioned at times but somehow the undersized skilled centre managed to become a fan favourite in Vancouver. Maybe it’s because Wellwood managed to be at his best in the playoffs where he had 13 points in 22 games. He is remembered for the incident, but we should remember him for the good times too. Like the song “It’s Called the Todd Bertuzzi”. Big Bert is 9th all-time in scoring and was a key member of the Canucks for 518 games. His two seasons in 2002-03 and 2003-04 are two of the most impressive seasons put together in Canucks history. 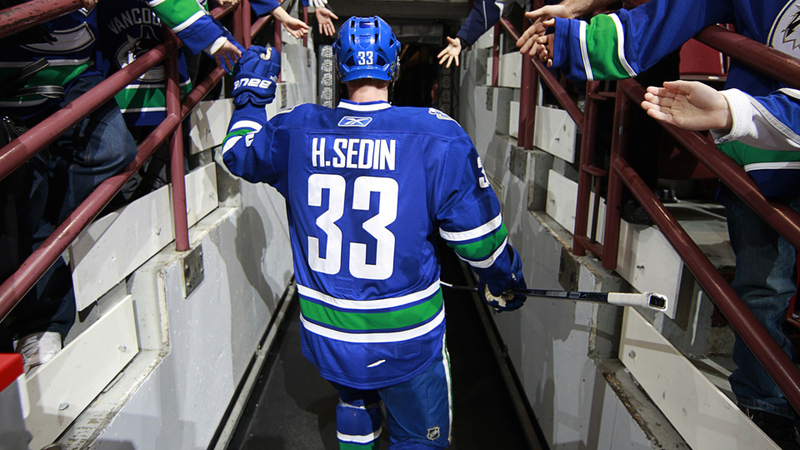 His 46 goal, 97 point season in 2002-03 ranks as the best offensive season by a Canadian in Canucks history. ‘Jovo Cop’ personified the Canucks teams during the Marc Crawford era. He was young, talented, tough, emotional, inconsistent and most of all, exciting. Funny Mention: Shane O’Brien… You’re still smiling about the honourable mention, aren’t you? With a goal and an assist in only three career NHL games, Lee Sweatt’s career points-per-game average is sparkling. I will always remember his only NHL goal, a game winner in 2010-11. Carter scored 33 goals in his only season in Vancouver, and I think every single one of them was assisted by Daniel and Henrik Sedin. Fedor was punched out by Kevin Bieksa (once) more than he scored in the NHL (zero). The only player not named Bure in franchise history to score 50 goals, Mogilny had 308 points in 312 career games with Vancouver. In what seemed like a good idea at the time, in 1995 Pavel Bure switched from his familiar #10 to #96 (high numbers were all the rage in the 90s). After two injury-plagued seasons, Bure switched back to #10 in 1997-98, stayed healthy and scored 50 goals.